RARE HIGHLY VIBRATIONAL RUSSIAN ARFVEDSONITE CRYSTAL! You will be amazed at this seldom seen, high intensity of this Highly Vibrational Arfvedsonite from the Kola Peninsula Region in Russia! ONE BID IS FOR ONE RUSSIAN ARFVEDSONITE CRYSTAL! THEY ALL LOOK VERY SIMILAR AND I WILL PICK OUT THE ONE WHICH CORRESPONDS THE MOST WITH YOUR VIBRATION. THIS PHOTO IS A STOCK PHOTO WHICH I JUST TOOK INSIDE MY HOME. All of the stones are guaranteed to be at least 3/4" in length. One bid is for one of these rare stones. Arfvedsonite is black in color with patches of coppery bronze and when moved you can actually see beautiful flashes of blue. This crystal isn't seen very often, and I was quite pleased to be able to obtain a few at a fair price during a recent buying trip. I'm offering these on this auction at a reduced price. This would be a wonderful addition for your healing work. 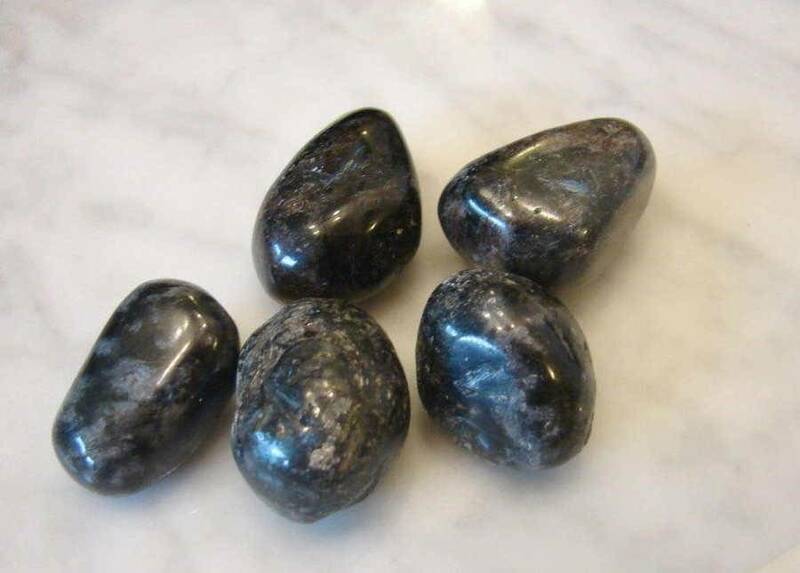 Arfvedsonite is a mineral useful for uplifting, exciting the chakras and supplemental vibrations, especially when one is sorrowful or depressed. Arfvedsonite aids in creating a clear path "forward and upward" away from the depression and sorrow. 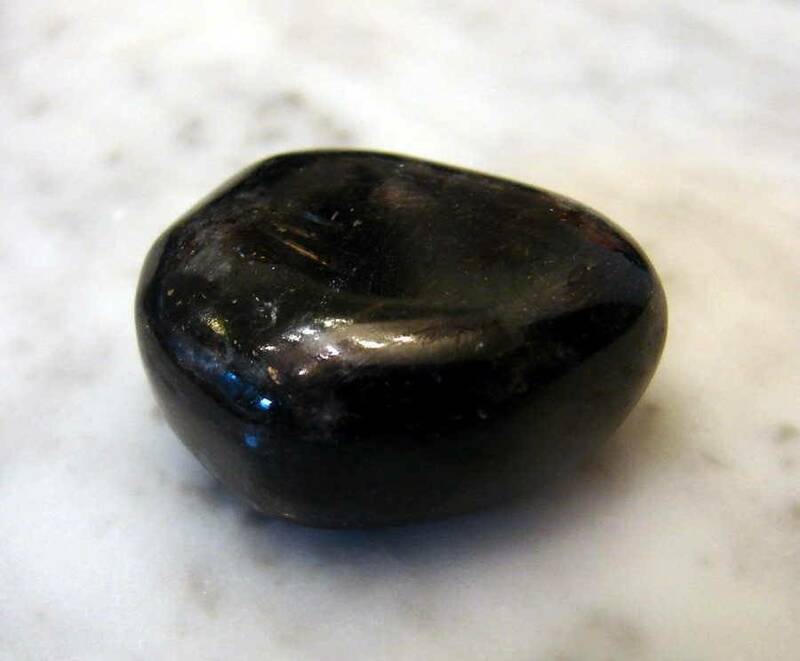 Arfvedsonite is also a tool for self-discovery as it aids in bringing enlightment as to why one was depressed or in need, allowing one to know and to understand the solution. It is highly recommended for the wondering soul and for the person who wishes to understand the "dark" moods of life. This wonderful mineral will allow one to understand the "why" and to fully understand the solution. This crystal strengthens the energy field, acting as a natural protection against negative or harmful vibrations. It's energy within the crown chakra helps one during periods of transition, and will help one to reorganize their life. This crystal also helps one with dream work and helps one to predict the future! This crystal also helps to encourage visions that predict the future and helps to create a vortex of energy around one's negative thoughts and will help to chase away nightmares and bring sound sleep. Arfvedsonite symbolizes understanding and growth! 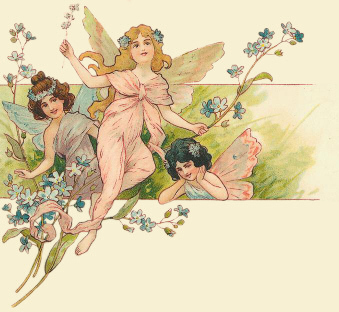 Please check out my eBay store, Pathways, for Beautifully Crafted One of a Kind Jewelry Items and Unusual Crystals! We have quite a selection, as our store has been open for seventeen years. We also combine shipments to save you money on shipping costs!